Bible-based thoughts, advice and specially written prayers for teenage girls. About "Girls For God: Soul Perspectives"
Being a teenager is a trying time when all sorts of new problems and joys present themselves, from school work to boyfriends to thinking about the future. Trying to navigate all this isn't easy. 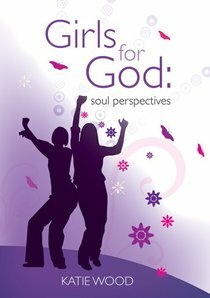 'Girls for God' is a collection of Bible-based thoughts, advice and prayers written specially for teenage girls. Katie Wood has just finished her A levels and is about to start a degree in English Literature and Creative Writing. She is passionate about her faith and about communicating it in writing. She has also written two fantasy novels for teenagers (unpublished) and is currently working on another novel, which aims to reproduce the gospel message in an accessible, funny way. She has also had poems published and contributed to a local newspaper, and she has published Girls for God: soul perspectives.